I never saw the rock that took me down at Stillwell this morning but I knew it would be bad before I hit the ground. I'd been extra cautious throughout the run, scanning my path for roots and artifacts that could trip me up. The section where I fell was directly in front of a fork that I normally follow to the right, but I'd decided to go straight this time. Big mistake. I ended up with a bunch of bad cuts and scrapes and a slightly dislocated shoulder. Today was supposed to be an easy trail run and I planned to follow that by watching the NYC marathon when I got home. Although the temperature showed 54°, it felt colder. The interior of Stillwell Woods is usually cooler than the general temperature. Knowing that, I elected to wear light track pants, a long sleeve tech shirt and a pair of running gloves. That turned out to be the best decision I made today. As bad as it was, it would have been worse with shorts, short sleeves and no hand protection. I started off well enough and came through my first mile and a half ready to run another two. 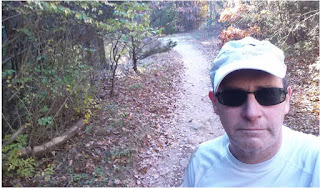 I encountered another runner whose path intersected mine as I came up a hill. I pushed a little to gain some distance from him and veered onto another trail to continue my usual loop. I stayed ahead of the runner, but took a loop trail off that path. The other runner reappeared when that loop connected back to the prior trail. As we ran together, the runner asked me if he was going in the right direction. I said that depended on where he wanted to go. He needed to get to the high school and I told him he'd reach the main field in a couple of minutes and that the ring path would take him back to the main trail head. We said our goodbyes and I decided to do another small loop which led to my unexpected catastrophe. 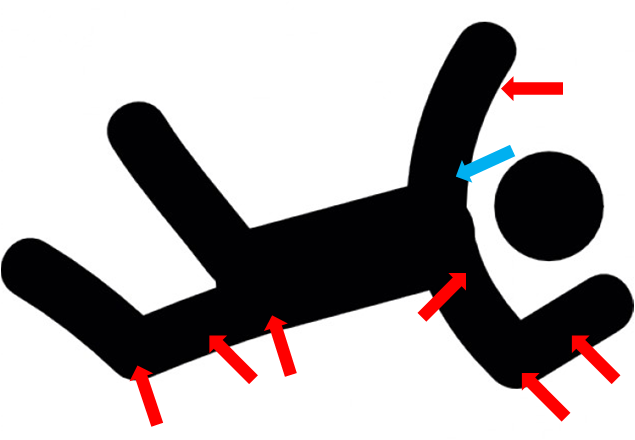 The scariest part of my fall was feeling my shoulder go out of alignment when I hit the ground. I'd dislocated that shoulder years before playing hockey and later during karate training, so I wasn't surprised that happened. I was concerned about being able to move under my own power, but my shoulder reset itself. I had no idea how much I was bleeding so after I established nothing was broken, I continued on. At that point I only wanted to make it back to my car that was parked almost a mile away. The fall deflated my energy level and I struggled to get through the remainder of my run. Oddly, the Garmin data showed that I covered the post fall distance at my fastest pace of the day. Sure didn't feel like it. I got home and took a hot shower before my wife dressed my wounds. I elected not to show a picture of the damage, but the above illustration shows all my impact points. I tried to watch the marathon but my heart wasn't in it. I still have it on DVR so I might watch some highlights tonight. Oh no! Glad you didn't break anything (although it sounds like you were pretty close). Who knew that bleeding increases your pace? I might start running with knives. Those medieval barbers seemed to think it did the trick. 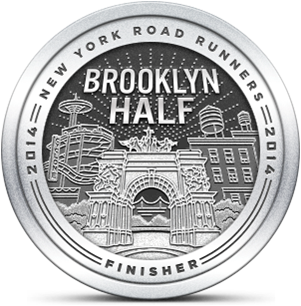 Perhaps Runner's Warehouse should start stocking leeches. Runsketeers have the run of a "Lifetime"